Jonathan and Cassiani Friz: with their children, Gabriel, Sabbath, Evangeline, Johanna, Melchizedek, and Phineas. The Friz family moved to New England in 2005 to attend Gordon-Conwell Seminary, never expecting that God would call them to stay and give their lives in the New England region. Jonathan is driven by a desire to see Jesus receive the answer to His prayer in John 17, “Let them be one as we are one.” To this end, he partners with believers in New England and around the nation, strengthening movements of prayer, unity, and spiritual awakening. He’s the National Coordinator for the 10 Days movement, seeking to draw city-wide churches into seasons of encountering the living God and loving one another. The Friz Family moved to Western Massachusetts in 2012 to establish a house of prayer in a region historically known for great revivals and mission movements. Cassi is a certified Holistic Health Counselor and works to bring healing and wholeness through wise food and delicious counsel. They are blessed with six amazing children! 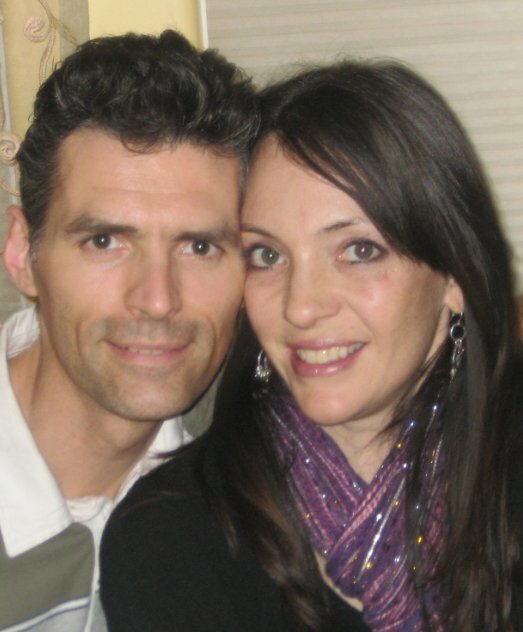 David and Sharon Sparkowich: In June 2013, the Sparkowich family moved from Grandview, MO where they had previously received training at the International House of Prayer for the purpose of helping to raise up a House of Prayer and Worship in the Pioneer Valley of Massachusetts. For the past 20 years, their ministry concentrations have included: missions work amongst the Jewish people, care for the poor and homeless, planting and strengthening of house churches and they are now lending support to the prayer and worship movement as singers, musicians and intercessors. Andrea Van Boven (Madden) is a Prayer Ministry Consultant trained in several facets and models of prayer. Through modeling, teaching and training, she helps churches, ministries and individuals learn how to protect, support and lead their ministries by depending on God through prayer. Andrea has been in vocational ministry for 35 years, the first 13 of those as a missionary in Africa. She has ministered on five continents and has a MA from GCTS. Before joining Wisdom Way Andrea was the Director of Prayer Initiatives for the International Leadership Foundation where she established and trained prayer networks in the US and Africa to support the ministry that seeks societal transformation across the African continent. Locally, she served as lead intercessor for Christ the Redeemer Anglican Church in Danvers, MA as the church was being planted and established. At the same time she was lead intercessor for the Anglican Diocese of New England. Presently, Andrea is involved in several local, regional and national prayer initiatives including helping coordinate the 10 Days of Prayer on the North Shore of Boston. Andrea has a special place in her heart for ushering in His kingdom here on earth, (Matt 6:10) and aspires to never lose sight of our need to go ever deeper in relationship with our loving heavenly Father. Jennie Fournier is first a lover of Jesus. She is a redeemed child of God. She lives a life committed to interceding for others. She worked as a Medical Technologist for over 20 years, but in 2007, God called her into missionary work. Since then, she has traveled to China, Senegal and the Dominican Republic. She has volunteered in different capacities such as answering suicidal helplines, spending time with those at the end of life with Hospice, taught bible study to the homeless and more. She is the Founder and Director of The Greater Boston Prayer and Action Network. Jennie is a living testimony of the power of prayer. Because of what God has done in her life, Jennie desires to see freedom, justice and redeemed lives especially for those who have been abused and exploited. Other than her faith, her daughters and granddaughters are her inspiration. David Jeremiah Lam is an intercessory missionary who has been in full-time ministry since 2009. He serves the body of Christ at Aletheia church in Cambridge MA and has been traveling overseas in the last 8 years doing missions work with the privilege of ministering to those in the persecuted church. His burning desire for all to experience the spirit of God through prayer and worship has set him on a mission to lead and walk in the likeness and maturity of Christ. David has been pioneering the message of living an eternal present reality with God through a lifestyle of relational intimacy and abandonment unto God. In 2016, the Lord brought David and the chief of the Natick Native Americans of Massachusetts together through a divine orchestration that opened up the opportunity of ministering to the aboriginal tribes of Taiwan. David believes that God has called him to be a bridge between different denominations, cultures and ethnic backgrounds so that the gospel of the kingdom may be preached to all nations. Since his radical conversion in 2009, James Robinson has had a passion to see revival and reformation in New England. Born in Stamford Connecticut, he attended Youth with a Mission in Kona, HI in 2012, and graduated from Moody Bible Institute-Spokane in the spring of 2017. He now attends Gordon-Conwell Theological Seminary in Hamilton, Massachusetts. James firmly believes that ceaseless prayer is the backbone for spiritual renewal and awakening. This conviction led James to adopt the One Day/One Church prayer strategy while in Bible school in Washington State. Upon graduating and by the confirmation of the Spirit, James had a strong sense to see this prayer model established in this region. Thus, New England Prays was launched! James foremost is a lover of the Lord Jesus Christ and strives to be a man after God’s heart! His prayer is to become more conformed into the likeness of Jesus in all things.